Sometimes old pipes just fail and that was the case here. Upon inspection in the customers downstairs bathroom a 6 foot piece of 3 inch cast iron pipe needed to be replaced. 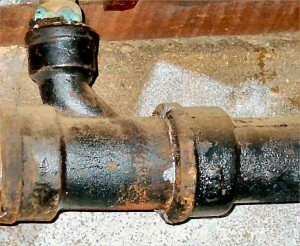 If you live near Atlanta and Bushard in Huntington Beach, CA and need a cast iron pipe replaced in your bathroom call Clean Plumbing at 714-402-7079 for immediate assistance.